Gov. Ron DeSantis talked about education at Tampa Bay Tech H.S. Jan. 30. DeSantis unveiled his first proposed budget Friday. Gov. Ron DeSantis' first proposed budget is calling for more money to be spent on schools and the environment in the coming year. At the same time, he's also asking for a small cut in taxes. DeSantis has recommended a $91.3 billion budget that he wants state legislators to approve during their annual session that starts in March. His first budget calls for boosting the amount spent on each public school student by 3 percent, or $224 more a year, to $21.7 billion. Some of that increased money - nearly $100 million - would go to school safety programs. DeSantis said he wants to leave it up to each district to decide how they want to use that money. "So we're going to say, this is what we recommend for school security, but we're not going to tell you necessarily how to do it because some people thought that they need more flexibility for that. So the districts will have more flexibility under what we're doing," he said. DeSantis is asking for roughly $300 million in tax cuts, with most of it targeted to property owners. He's also proposing back-to-school and disaster preparedness tax holidays. The governor wants to hold college tuition rates steady. He also did not recommend any across-the-board pay raises for state employees. Lawmakers will take up the budget when their session starts March 5. Florida's next governor may inherit a small budget surplus during his first year in office, according to an annual forecast by state economists. Florida lawmakers ended their 2018 session Sunday by passing an $88.7 billion budget, while Gov. Rick Scott signed legislation that provides record funding for Bright Futures college scholarships and continues expanding voucher-like programs for children to attend private schools. 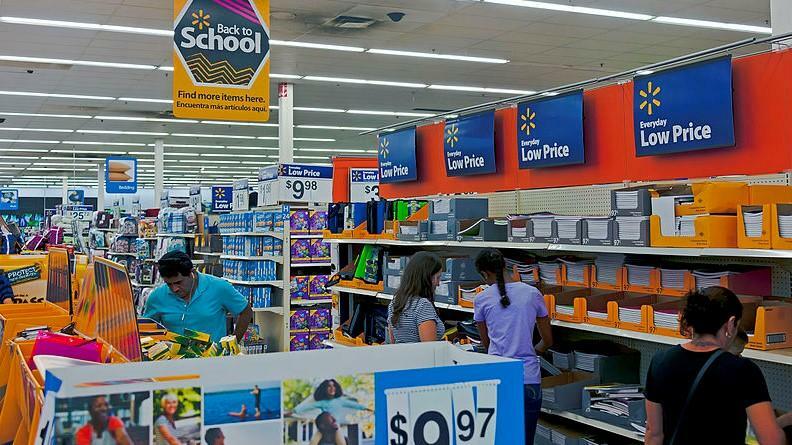 Floridians in August would get a 10-day sales tax “holiday” for back-to-school shopping, under a bill proposed Tuesday in the Senate.